The setting of the sun is metaphorically the dying of the light. Yet, even as it takes its leave each day, it bows in a promise of its return. This is not the end. There will be another day, another chance to walk in its light. Recently as I pondered the departure of a family friend, I was overwhelmed with emotion, and found myself considering all the friends and family members who have likewise departed, bowing low in a similar promise of some other day. So, I must wait, work, and love Until Tomorrow. 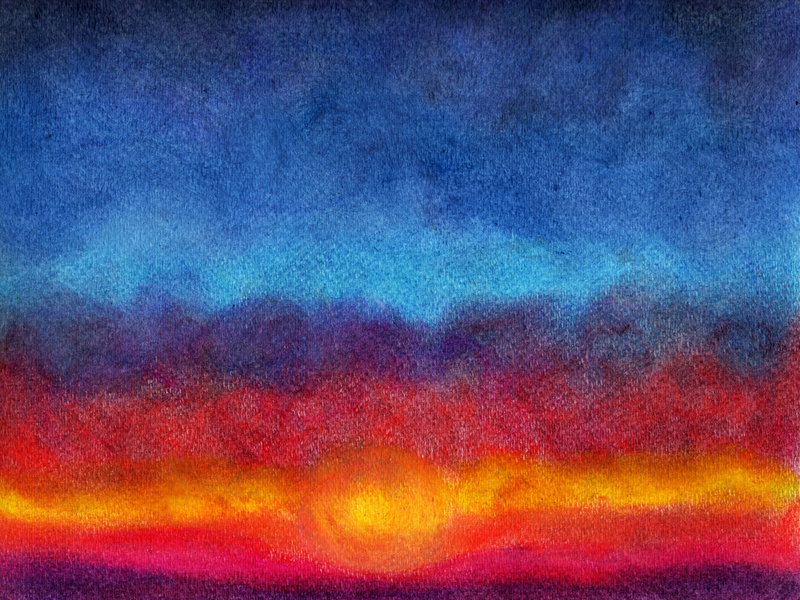 Until Tomorrow was executed on 12″ x 9″ watercolor paper with oil pastels. Although the original is spoken for, I have decided to offer this image as a limited edition of 20, 24″ x 18″ acrylic panel prints. For more details, including pricing, please follow this LINK to our SALES PAGE.